And cap off the Sunday meals with a sweet banana dessert – Minatamisang Saba with Sago! The easiest way you can think of to cook it besides frying, is to just boil it in syrup. Not just delicious but also nutritious! 1. Boil water and sugar in a pot, add saba and cook. Set aside to cool. 2. 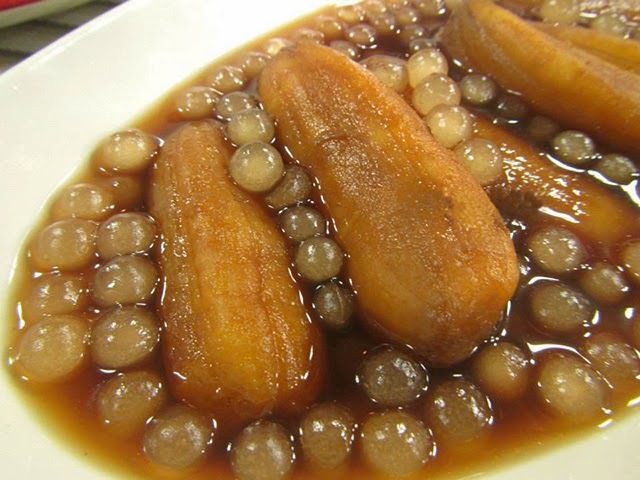 In a bowl, place minatamis na saging and cooked sago then add the syrup and serve.